Southwest just launched a pretty solid sale that includes killer flights to L.A. straight through the heart of the coming winter ski season (tons of availability). For anyone with an Ikon Pass this is a no-brainer — Ikon Pass holders Ski Free at both Big Bear (local to L.A.) AND Mammoth (more of a drive). If you can round up a friend with an Ikon Pass you MIGHT be able to convince them to let you used up one their 25% off Friends / Family passes (built into the their pass for just such an occasion). Don't have an Ikon Pass? — Liftopia also has early season Mammoth tickets 46% off. PLUS Hotwire has 44% off 4x4 SUV's PLUS an additional $10 off 100 car rental coupon: 'ROAD10'. 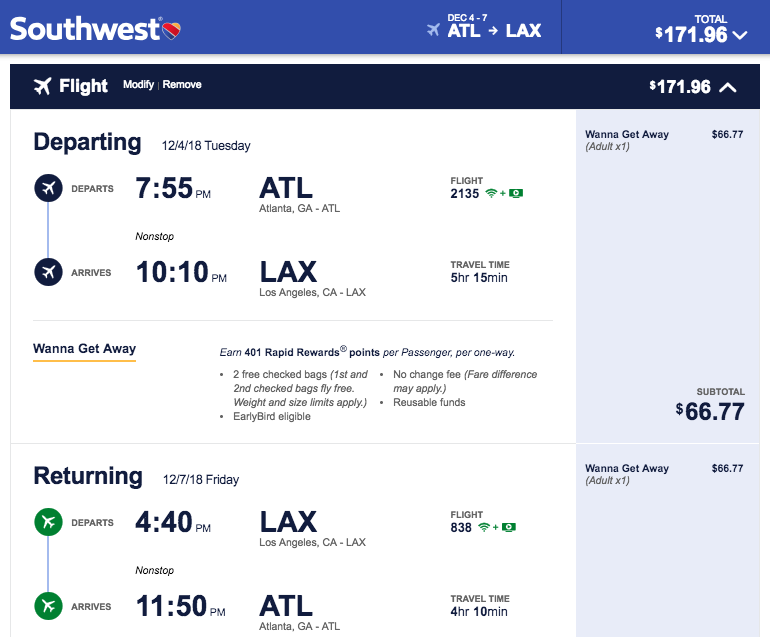 Atlanta to L.A. is generally at least $320 for a Non-Stop flight — these cheap ski flights save about 50% and get you there Non-Stop on Southwest. 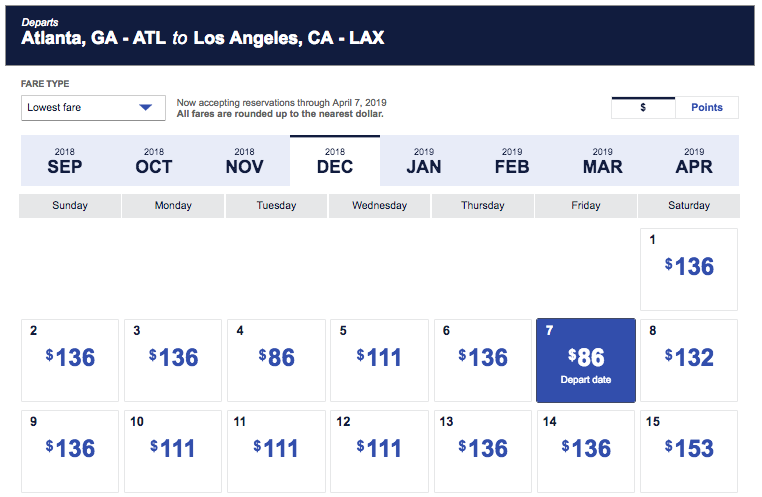 It's pretty rare to see Southwest drop flights to L.A. below 200 — mainly because their competitors (looking at you Delta) are now charging $30 each way for your first bag and $40 for your second (ie. your skis / board). That is $140 RT just for your gear and just for one person — meaning this saves more like 75% on your total costs to fly — even with just two bags. To put that in perspective Delta (or United etc) would need to charge less than $31 Round Trip just to beat this deal when factoring in their bag fees. I am not saying it's impossible, but I am saying this is the best deal I have seen to go ski Mammoth (or Big Bear if you aren't into the drive) all year. 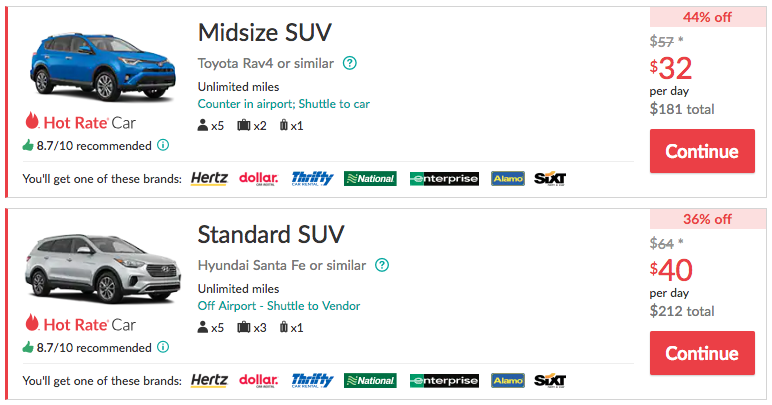 As mentioned at the top Hotwire has some awesome prices for the usually expensive 4x4 / All Wheel drive rental car options. Those prices are made better with $10 off $100 car rental coupon: ROAD10 — applies only to Hot Rate car rentals like those above. Flight Availability is generally November through January but has been fluctuating a bit. As mentioned in some of my previous deals — booking on Southwest is trickier than normal just because they don't allow our site (or anyone else) to link directly to a set of dates. That means you need to pick your desired month and go find your own dates on their 'Low Fare Calendar'. That should land you on the right calendar. You are looking for the flights that are $86 on the way out there, and $86 on the way back. Generally the sale covers October through January. 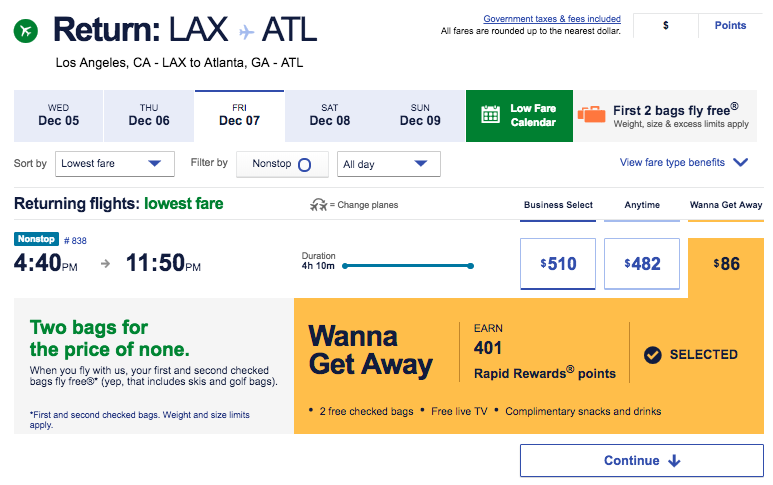 Once you select a date you want to hit continue at which point you are looking for the Non-Stop 'Wanna Get Away' flights (which for some reason are generally cheaper than those with stops). Once you find one you like my advice is to book that thing. It's seriously insane to get to the west coast during ski season WITH BAGS for under $200.